Update: We chose to keep this post up since it was all part of the learning process, but given the outcome (update 1, update 2), if we could do it all over again, we would get an attorney. Get an attorney, people! The plan was always to try to sell our house by owner, and we read a lot of articles and blog posts to prepare ourselves for that task. We were very lucky, I mean beyond lucky, to have a buyer before even listing our house. All of that knowledge we gained preparing for the task, didn’t prepare us for what was next–the paperwork. The buyers said, “We’ll come over on Wednesday with some earnest money and sign the paperwork.” We went into panic mode thinking about all the paperwork we signed with our realtor when we were first purchasing the house. This time around, neither we nor the buyers had a realtor, and we didn’t want to bring one on just to pay a commission for a house that was already nearly sold. Another option was hiring a real estate attorney. A few friends who had recently sold their homes went this route and even recommended one to us. His price was $1000–which is a great deal compared to what we would pay a realtor, but could that be a grand saved? Could we do it ourselves? We thought we’d give it a try. This is where I should probably say, every home sale is different and we are not realtors or attorneys or even close to experts in this field. In fact, we’re amateurs. But, we did it ourselves, saved a bunch of money and it wasn’t very difficult so we thought we’d share our experience. 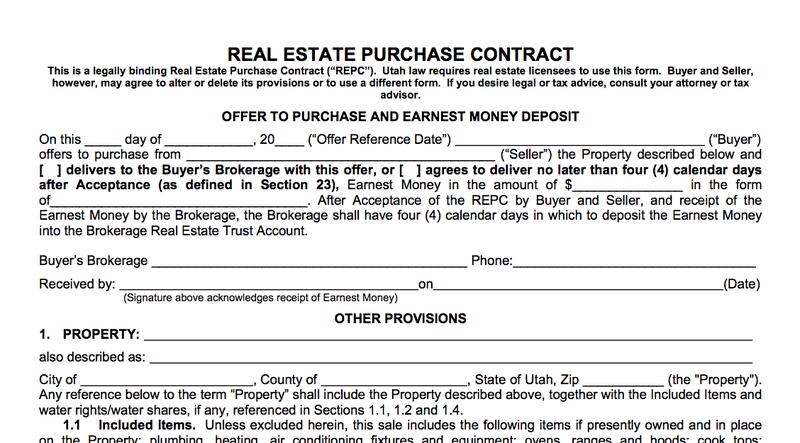 The first thing we did was google for a real estate purchase contract for our state. Every state is different, but ours was right on our government website and we printed it out. As you can see in the first paragraph, “Buyer and Seller, however, may agree to alter or delete its provisions or to use a different form.” Even though that gave us some confidence (and power! ), we wanted to make sure we at least had the right form. We also had a couple questions about what we put in a few spaces, like the one marked “Buyer’s Brokerage” (you can leave it blank ps.). This is about when we thought we would bring on an attorney. But, instead I called the local title company where we were planning on closing and asked them. They were so helpful and encouraging, answered all of our questions and even had extra contracts on hand if we didn’t already print one. When the sweet couple came over with their earnest money, we went over the contract together. We discussed what they wanted included, any disclosures, costs, and closing date and signed our names quite a bit (oh yeah, and interviewed them). If you didn’t want to personally have a discussion with your potential buyers, then hiring an attorney would probably be a better choice for you. We made a copy for them, and the title company really took over from there. As for closing costs, there were still a few fixed fees that needed to be covered and we split those 50/50 with the buyer. Our portion came to $667. :) Not bad for a couple of amateurs! I am working my way through old posts on a quiet Sunday morning, and I just wanted to say how much I appreciate that you updated this blog post to reflect that its worth getting an attorney or realtor or at least having someone to call in for the consult. I am a lawyer and I tell people that spending the money on a lawyer at the beginning will often save them spending 10x as much on an attorney later. I read a really badly drafted easement on Friday that has no fix but to be litigated. As I told the friend who asked me to read it, I am all but certain it was not drafted by an attorney. Also I use a realtor; not because I can’t do all the paperwork but because this isn’t my speciality and honestly I don’t have the time to market and show my house. I’m sorry but I truly think you should completely remove this entire post. If someone googles and gets to this post without reading anything else you have written about this process, they are only going to see that little disclaimer telling them to get an attorney before they go on to read a whole long description about how easy this was for you. If you’re not going to remove the whole post because you want the pageviews, you need to at least write a longer disclaimer that explicitly says that doing this on your own DID NOT WORK. Just saying “given the outcome” does not get the job done here. I’m sorry, I think it is irresponsible to leave this post as is. Thanks for the feedback. Though you seem to have formed an opinion about us already, our reason for keeping this post up has nothing to do with page views. We wanted to be honest about the process we went through, and we felt like removing the post would be trying to cover up our mistakes. That said, I can see your concern. We’ll add more to the disclaimer at the top. I have “formed an opinion” that bloggers want people to look at their blog? Is that wrong? My comment truly wasn’t meant in a derogatory way. I was simply saying that if you want to leave the post up in order to get traffic to your blog, fine, but you should heavily edit the content to describe the end result in as much detail as you provided for the FSBO process. I generally enjoy your blog and your decorating, I just didn’t think that the content should have veered into big time financial decisions. Leaving this post up is akin to writing a post about how to study for a test, failing the test pretty badly, and then leaving the study advice up with a note that a link will take you to the poor results of the test. Again, I like your blog and your deocorating skills but I think this type of post should never have been in your wheelhouse. Thanks for taking the time to respond. 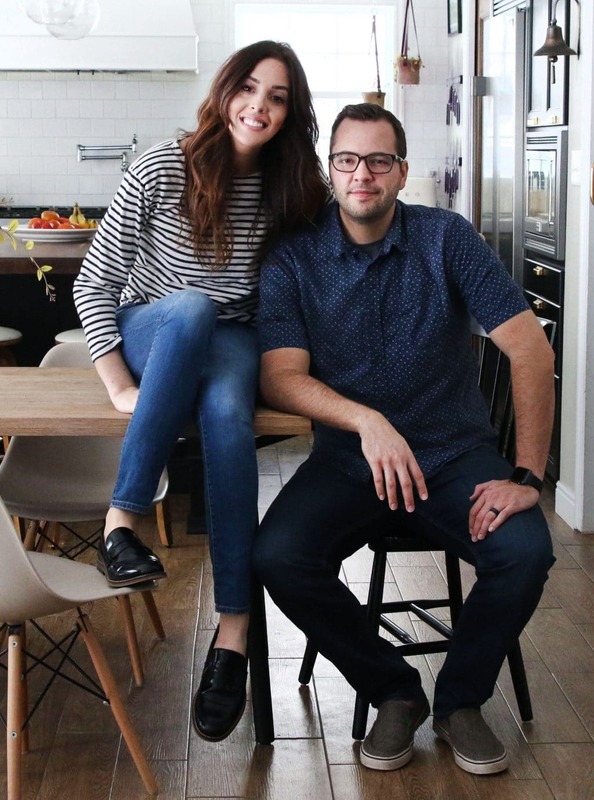 I am thrilled you two were able to “beat the system of what is the norm.” When you guys and John and Sherry(YHL) go this route, it give others the courage to try it and save major bucks. Looking forward to seeing what you do with your new place! I bought a house that was for sale by owner and I didn’t have an agent. 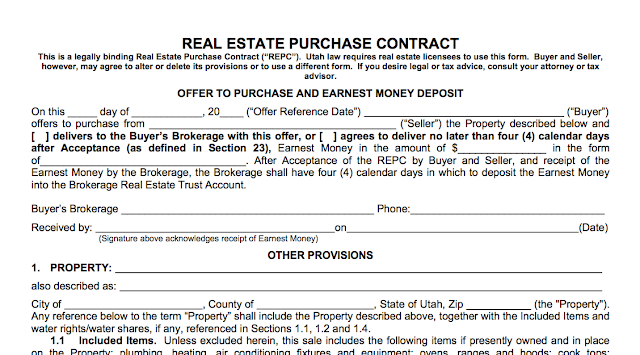 My fantastic real estate attorney only charged me a little over a $100 to draw up the contract and handle the closing! It was an amazingly smooth process. That is amazing! I really wanted to sell our house on our own, but my husband was too wary of it, so we have an agent who is doing exactly what we would do. Bummer! We decided we would try selling it on our own for a month and if we had no luck, we would hire a realtor. We definitely weren’t above the idea. I know. I know!! IF we ever sell our new house, the story will most likely be different. There’s no way it could be as easy as it was this time around. That’s awesome! Buying/selling a home seems so foreign to me and I have ZERO clue what happens. That makes me so nervous when we actually do buy our first house. At the same time–I can’t wait to buy a house to get us out of apartment living. I had zero doubts about you two getting it done. You are so inspiring!